Our client wanted to create space for a home office on their property. 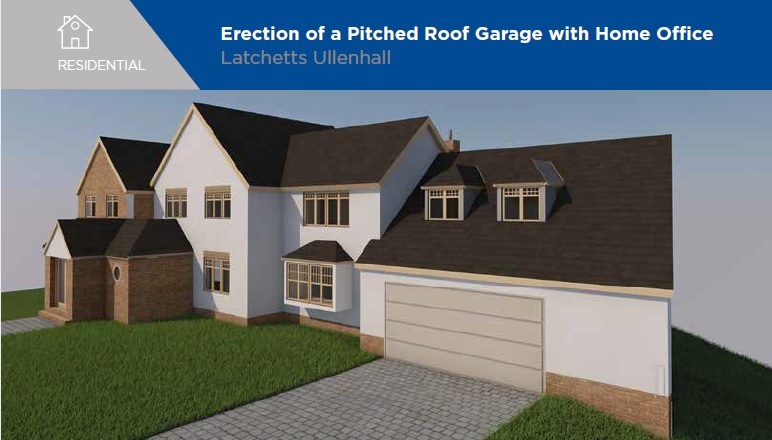 The property had an existing flat roofed garage and it was decided that replacing the existing roof with a pitched roof would provide the much needed loft space for the home office. 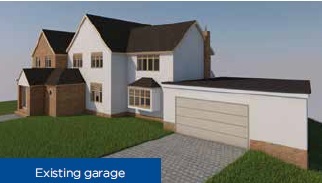 The property is located within the Green Belt meaning that there are more planning constraints imposed on extensions. The application had no neighbourhood objections and was supported by the Statutory Consultees, notably the Parish Council. The application was subsequently approved by the Case Officer on the 27th July 2016. 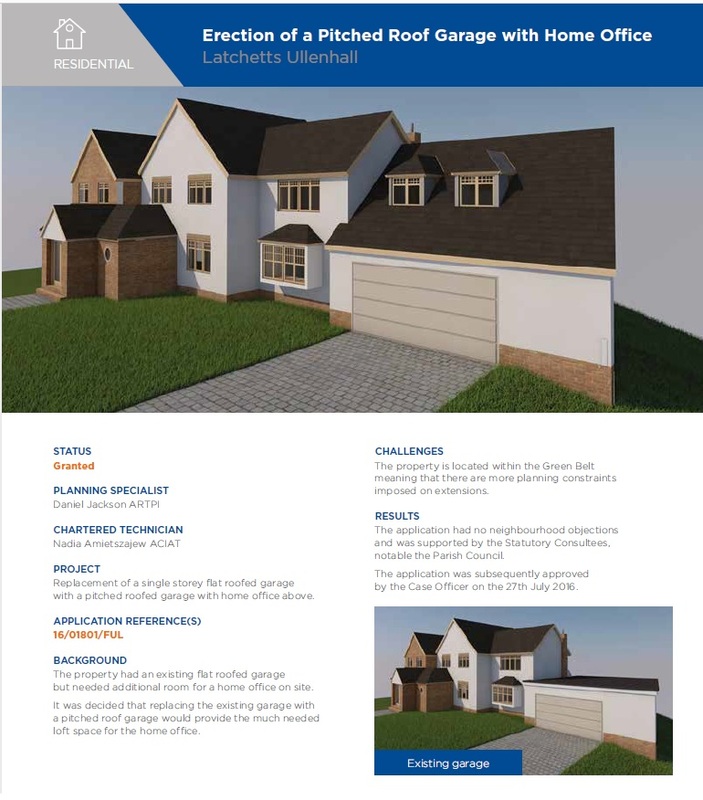 The Planning Specialist was Daniel Jackson RTPI and the Chartered Technician was Nadia Amietszajew ACIAT.